History of Sikhs in America: Violence against Sikh workers in Bellingham, Washington. Because observant Sikhs, whose religion prohibited becoming intoxicated, had little interest in “whisky money,” they filled so many jobs it soon angered the locals. Tensions reached a breaking point a year after the publication of this front-page article. 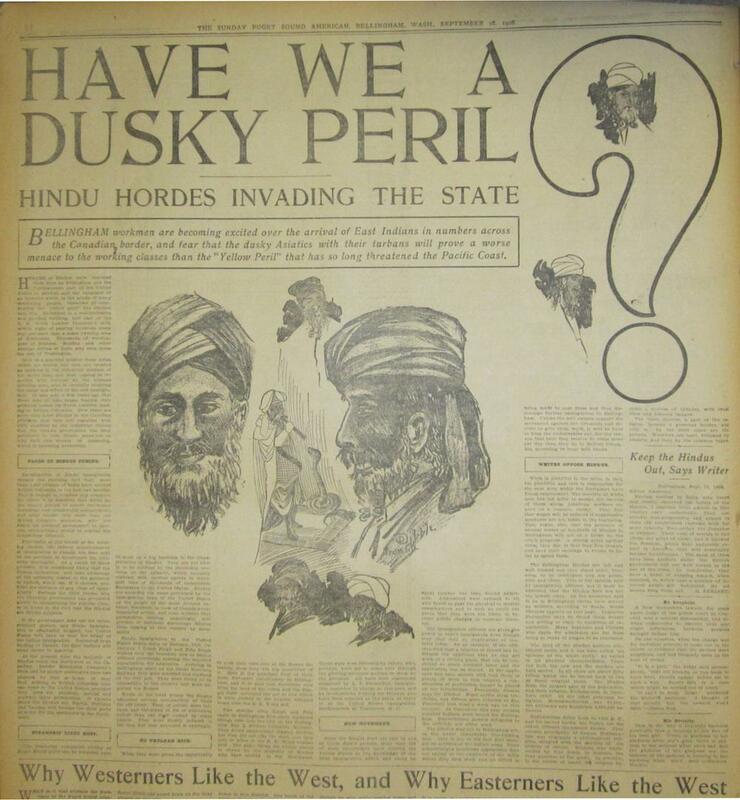 As reported across the country, in September 1907, a mob of disgruntled white workers rounded up hundreds of Sikhs, beat them in the street, and then forced them out of town. Many went north to British Columbia; others went south to California, where a Punjabi-Mexican community briefly flourished. While we ponder today whether the recent murder of three Muslim students in North Carolina was a hate crime or a merely an argument over parking gone horrifically wrong, it’s worth remembering that acts of violence committed against religious groups in American history have rarely had a single cause. While some may see Bellingham’s anti-Sikh riot as a hate crime, others might claim it was simply a labor dispute. Click on the image to reach a zoomable version, or visit the document’s page in the South Asian American Digital Archive. Puget Sound American (Bellingham, WA), September 16, 1906. Image courtesy of the South Asian American Digital Archive (SAADA).